Reliance Jio hasn't done announcing the offers yet. 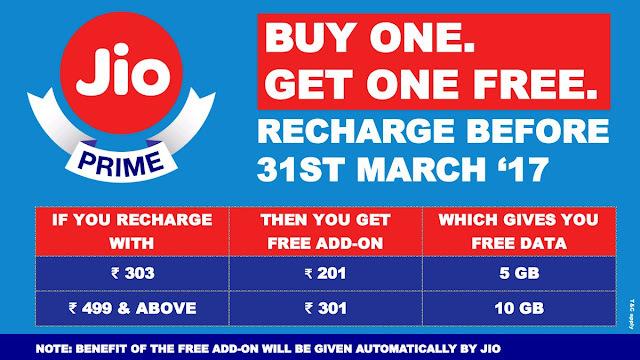 Reliance Jio rolled out 'Buy One Get one Free' offer to all Jio Prime users. 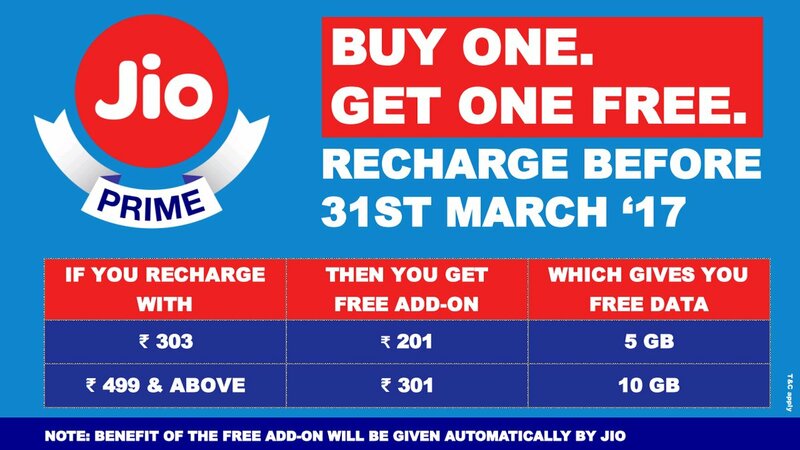 According to the latest offer, Jio users who subscribe to Jio Prime by March 31, will get additional free data benefits. - If you recharge with Rs 499 and above, you will get free add-on worth Rs 301 which offers 10GB of 4G data along with the regular data benefits. To recall, Jio users have to pay a one-time fee of Rs 99 to enroll for Jio Prime membership. All the existing and new Jio users can subscribe to Jio Prime until March 31 2017. The Jio Prime subscription is valid until March 2018.